I feel like I'm the only person out there who has tried this product and not liked it. Firstly I will say I only tried the conditioner, not the shampoo as it was sold out at the time. I'm not judging the product on its ability to volumise my hair as I feel I should have tried the shampoo and conditioner together for that. However I am judging the conditioner on its own ability, from the first time I used it I noticed how matted my hair was when I tried to get the comb through it. I use L'Oreal conditioners all the time and have not had this problem with any of the others, but I noticed it straight away before even stepping out of the shower when I tried to run my fingers through my hair. My fingers would normally slide through my damp hair with ease and it was the complete opposite after using this conditioner. The problem continues when my hair is dry as well, it felt drier than usual and knots really easily. With other products my hair feels soft and supple and combs through easily without tugging, pulling or snapping. I haven't noticed any extra volume either so in all honesty I'm not at all impressed with this product. It may vary on different hair types, my hair is quite long, highlighted, naturally curly and quite dry so I need a good conditioner to help lock in moisture and this product seemed to do the opposite to everything my hair type needs. I unfortunately and not convinced in its abilities and won't be buying it again. The weather has been doing some strange things the last couple of weeks, I went from walking to work only needing a cardigan, to having to wear a coat and scarf again! The weather switched back to more winter than spring, sad times. I am so in love with these fringe sandals, they look beautiful and would be perfect for summer. I need a new pair of sandals because I managed to kill my favourite ones last year on holiday, the sole split in half and I was so sad. I'm sure these ones would make my heart happy again though! Not to mention how good they would look with that cute little white dress. Although this was supposed to be a spring picks post I'm pretty sure that a lot of this stuff is more summer than spring, but my heart got carried away and I dreamt about long summer days and lovely warm weather and what I would like to wear. Continuing with the tan theme I also found this Belt Purse from River Island for £20 and couldn't believe how cute it is. This would look amazing with a pair of denim shorts to keep your hands free at festivals this summer. Moving on from the tan theme, I also spotted this bag From New Look and I have to say I think my heart skipped a beat, I am in love, insanely in love. 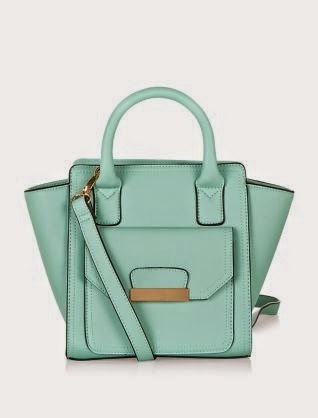 The colour is stunning and one of my favourite shades and the shape of the bag is so cute. My list is growing here and may well cost me a lot of money. Damn you highstreet for having so much nice stuff! 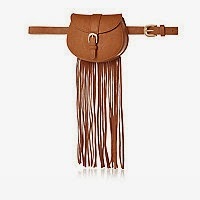 I am actually quite shocked at the price of this bag as well, it's so reasonable so won't feel too naughty to buy! Happy days. 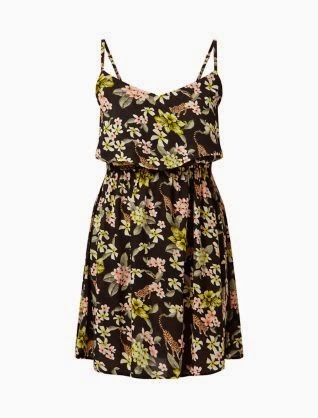 I also really like this next dress which is from New Look as well, I can imagine teaming this with a little denim jacket for days spent in beer gardens or lazing in the park. I am so excited for the warmer weather, because as I'm writing this it's pouring outside with sidewards rain! Bah! 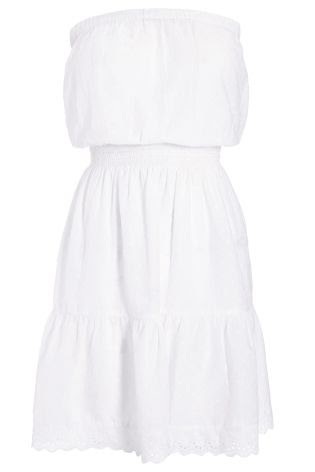 Are you looking forward to summer and lovely summer clothes? P.S if you can't see a text link for the items you like then click on the photo to be taken to the website. I remember seeing the first Fast and furious movie years back, when the actors all looked very young and before anyone knew what a smash the films would become. I have seen every single one and loved them all (bar Tokeyo drift, sorry but there was no Paul Walker or Van Diesel). Over the Easter weekend I went to see the latest movie, I wasn't sure what to expect considering Paul Walker sadly died during the filming of the movie and his brothers stepped in to help complete the flick. The film is absolutely incredible, full of action, stunts and fantastic effects. I literally had my head in my hands all the way through because it was so gripping. 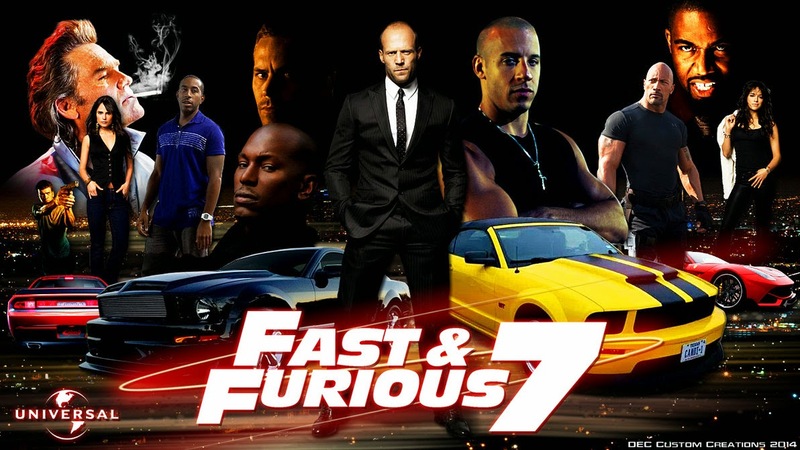 Not only is it full of high octane adventure but like it's predecessors it really focuses on the relationship the guys all have and their ride or die attitude for each other.The films really capture the human connection between the team that other car films haven't done, it makes you buy into the characters and their bond. To top it all off the ending is fabulous and totally heartfelt and had me crying my eyes out. This film is worth going to the cinema to see, it will be the last chance you have to see Paul Walker on the big screen, and that saddens me so much because for my generation he was an actor and icon we grew up watching and swooning over. I hope he is looking down to see what an amazing success the latest movie in the franchise is and how he was so clearly loved and respected by his co stars.